Harry Potter star Jason Isaacs says he doesn’t support the boycott, divestment and sanctions (BDS) movement but is very aware of Palestinian protests about his latest project, which is partly funded by the Israeli government. Isaacs, who “frequently plays elegant villains,” is best known for his role as Lucius Malfoy in the Harry Potter films. He is now playing an FBI agent in the NBC show Dig that is being filmed in eastern occupied Jerusalem and other parts of the occupied West Bank. Dig, to be shown on NBCUniversal’s cable network USA, has generated strong protests from Palestinians who see it is as part of Israel’s effort to consolidate its control and advance the Judaization of the militarily occupied city. No country in the world, not even the United States, officially recognizes Israel’s claim to eastern occupied Jerusalem, and its annexation of the city has been declared “null and void” by the United Nations Security Council. Palestinians in Silwan and surrounding areas of occupied Jerusalem are targets of persistent Israeli home demolitions, settler aggression and other measures designed to force them off their land to build a Jewish-themed park and Jewish-only housing projects. But as the US Campaign to End the Israeli Occupation has reported, NBC is violating this promise and is filming in several sites in eastern occupied Jerusalem. The Israeli government and Jerusalem’s occupation municipality are providing the series a $6.3 million grant, as “part of an effort to brand Israel’s control of Jerusalem in a ‘positive light,’” according to the US Campaign. The cast and crew recently met with Minister of Jerusalem and Diaspora Affairs Naftali Bennett, leader of the extreme right-wing nationalist and pro-settler party Habayit Hayehudi (Jewish Home). According to Zalameh, Isaacs “was very receptive to talk to me and he had an immediate smile.” Isaacs said he had read all of the letters about the issue very carefully and intended to issue a reply. He also told Zalameh that he had been approached by Miriam Margolyes, the British actor who is a strong supporter of BDS. But Isaacs also said, according to Zalameh, “I don’t support BDS” – an indication that the actor is nonetheless fully aware of the movement. 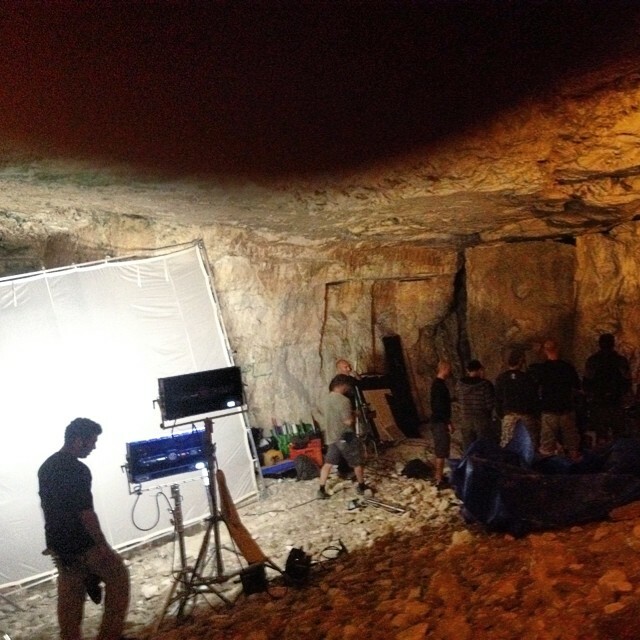 Zalameh learned that the series would be going on to film at several sites deep in the occupied West Bank, including Nabi Musa, near Jericho, indicating the extent of NBC’s complicity in the Israeli occupation. Such assurances are unlikely to assuage Palestinians and other campaigners deeply troubled by Dig’s role in helping Israel to dispossess Palestinians and remake Jerusalem as an exclusivist enclave where its indigenous population are not welcome. “Israel has misused archaeology projects in occupied East Jerusalem to strengthen settlements, evict Palestinians, and damage their homes,” the US Campaign to End the Israeli Occupation quotes Sarah Leah Whitson, Middle East director at Human Rights Watch, as saying. It appears that NBC and Isaacs are doing the exact opposite. Particularly saddened and depressed by this news. When brainless models and greedy rockstars ignore BDS it doesn't surprise me but Isaacs is not only a good actor - he is an intelligent one whose performances imply personal humanity. To be participating in this TV project suggests a degree of wilful naivite. To defend it by talking of the script being "balanced" is as insulting as the idea of a "balanced" film about apartheid in South Africa. Sorry Jason but issues like illegal occupation and ethnic cleansing don't merit "balanced" portrayal. Jason, I am so sad to hear this news. We need to stand by humanity, equal treatment of all humans, we must not encourage, empower or try and help out those that are the aggressors, the occupiers, those that oppress other humans for their own gain. I wish you would do the right thing and walk away from this project. Instead, use your name and influence to enourage equality among al humans. As someone who admired his work and remains a huge fan of the Harry Potter franchise, I'm deeply disappointed that Isaacs is taking part in this invasive and borderline illegal show. Isn't it enough that you're there on Palestinian land shooting essentially without permission? Must you also try to sabotage the BDS movement and make a mockery of the suffering of the Palestinians? Is NBC content with purposefully lying to the public about Israel's control of Jerusalem? Shameful. "Zalameh also said that Isaacs claimed that the series script was “balanced” and that he planned to “reach out to the other side.”"
"balanced" - That's what the producer and director of the 24h Jerusalem for German TV intended when they prepared to shoot in Jerusalem. I think in the meantime they have recognised they were ill informed about the true situation that Palestinians face. 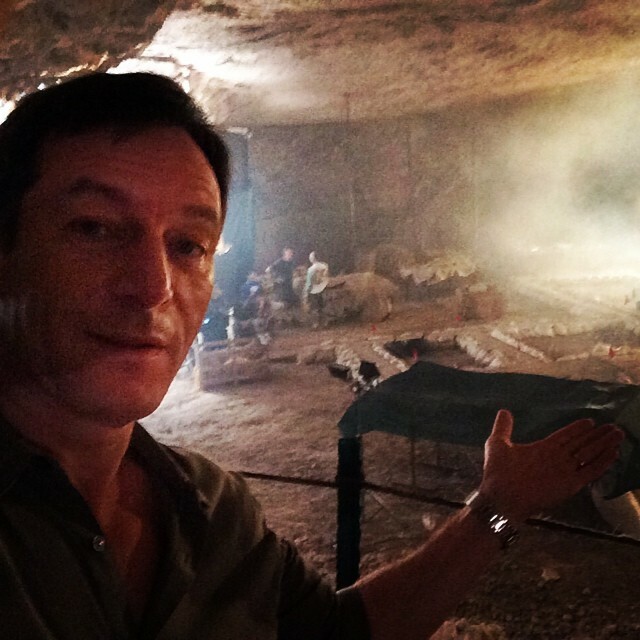 Jason Isaacs participation in "Dig"
I am particularly saddened by Jason Isaac's decision to participate in or promote this series and hope he not being used as a pawn to further promote ethnic bias. My message to Jason is this: "You are a fine actor , adored by your public and may you continue to find self-fulfillment in your art by giving true pleasure to those who watch your performances Please be mindful that when our ancestors ( and yes they knew each other) came to Liverpool they were often greeted by hostility, fear and often segregation but they survived, flourished and gave back to the communities which eventually saw them as equal. At no time did they did 'invade' England, encroach on land or borders, support racism, or attempt to redesign their adopted land by excluding those who lived there when they arrived...How can you as the grandchild of immigrant ancestors to Liverpool support even indirectly through your work any program glamorizing evicting Palestinians from their homes under the guise of archeological digs and in doing so strengthen policies based what can only be termed as gendercide? For the love of humanity, please use your gift to promote peace, support a two state solution respectful of the culture of both sides and in doing so eradicate the harm created so far. Conversely, if you need more information on how we got to this shamefully destructive period in our history please consider reading my first spy thriller "Circle Around The Sun" it might prove educational and help you make more informed choices in the future. In the words of another "Scouser" - "Give Peace A Chance" and work towards bringing peace to The Middle East not perpetuating endless, mindless strife based on apartheid!